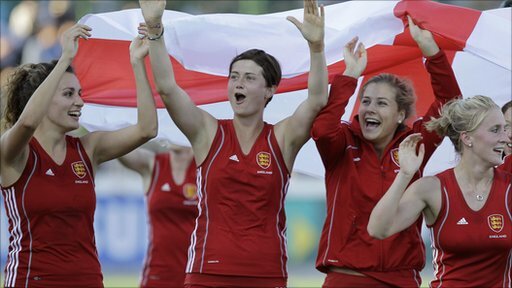 England secured their best-ever World Cup finish by beating Germany 2-0 in the bronze medal play-off in Argentina. Alex Danson neatly powered in an angled shot from inside the penalty area to break the deadlock in the 28th minute. 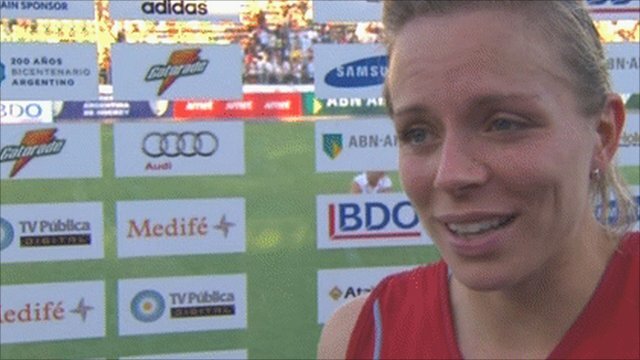 Helen Richardson doubled the lead three minutes later when she deflected a rasping Danson effort between the legs of German goalkeeper Kristina Reynolds. Germany failed to muster a comeback and England held on to improve on their previous best finish, fourth in 1990. The squad's celebrations on the final hooter were in stark contrast to the tearful scenes that followed their 4-3 penalty shoot-out loss to the Netherlands in Thursday's semi-final. On this occasion, however, England had thoroughly deserved their win, dominating the match throughout. Katharina Otte went close for the Germans early on but England stamped their authority on proceedings when Hannah MacLeod's reverse-stick pass found Danson who walloped past Reynolds for the opener and her second of the tournament. Moments later, central midfielder Richardson, who ended the tournament as the leading English scorer with four goals, intuitively diverted a long-range Danson drive to make it 2-0. 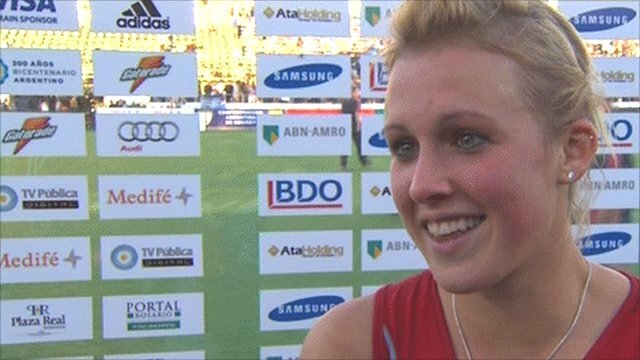 English keeper Beth Storry saved well with her feet before Germany lost Tina Bachmann for two minutes to a green card. England almost made their numerical advantage tell but a Hannah MacLeod strike was kept out by Reynolds. After the break, the Germans failed to carve out clear-cut chances, and their challenge truly faded when Julia Muller saw first a green and later a yellow card. In the final, hosts Argentina delighted the home crowd with a 3-1 win over reigning world and Olympic champions the Netherlands.